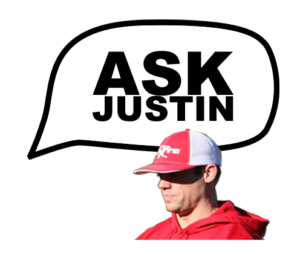 Ask Justin Stone Your Questions! Have you ever had a question about youth baseball that you've always wanted to ask? Previously, Youth Baseball Edge partnered with Elite Baseball Training for a special "Question Of The Week" segment with Elite's Justin Stone on each podcast session, the first interactive opportunity of its kind in the industry. Now that Justin has become the Cubs' biomechanical hitting consultant, he has become too busy to continue to do the Question Of The Week segment. 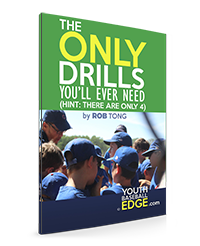 But rather than end the QOTW segment on the podcast, YBE podcast host Rob Tong will carry on the QOTW segment so that you still have the opportunity to ask any question you have about coaching youth baseball. Each week, Rob will pick a submission to answer for the Question Of The Week. The Question Of The Week segment will be at the end of each podcast episode. Ask as many different questions as you want but submit each question separately. If you want to remain anonymous, please state that. Otherwise, you are giving me permission to say your name on the podcast (which is actually kinda cool). If you want to tell me your location, that's fine too. Note: by submitting your question, you're also signing up for my email newsletter. (If you're already subscribed, don't worry—you won't be subscribed twice.) You can unsubscribe at any time. record your question via voice message below. Easier than typing (esp. on a mobile device) and more fun to hear your own voice on the podcast. Your question is limited to 90 seconds. If you are not on a mobile device, you'll need a computer with a microphone.